ASIA/THAILAND - The Director of the PMS: "Towards new elections: young people demand democracy and freedom"
Bangkok (Agenzia Fides) - "In Thailand we are preparing for elections, announced by the Prime Minister for February 2019: but people no longer believe in announcements, given the continuous postponements of the military junta in power. The Catholic Church, at first, had somehow appreciated social pacification. But now it supports democratic elections. They are necessary for our future. Young people are a driving force today in demanding democracy and freedom. They are brave and have publicly protested. We need a new hope": says Fr. 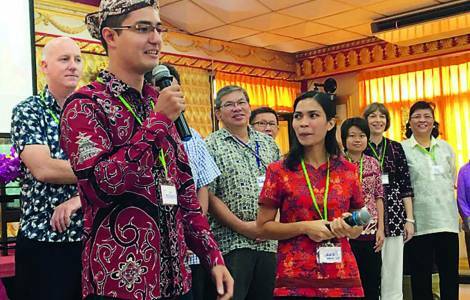 Peter Watchasin, National Director of the Pontifical Mission Societies in Thailand, in an interview with Agenzia Fides, commenting on the social and political situation in the country. The Director notes: "Everything in the country is controlled today. We speak of silent dictatorship. Two years ago there seemed to be a certain relief in the people because the military junta had put an end to the strong social conflict between red and yellow shirts. The government was seen as a step towards reconciliation, and still says it wants to maintain social peace. But today especially young people and students are dissatisfied with the censorship of freedoms and oppression they feel. People today, rather than taking to the streets, write on social media and this is also a cultural change. The government also exercises control over social networks. The central problem is that of freedoms: even if one writes for mass media you can be put in jail".